The airline signed a Memorandum of Understanding for the aircraft at last year's Farnborough Air Show, in a USD$561 million list price deal. Uganda Air will use the A330-800s to build its medium- and long-haul network, Airbus said. 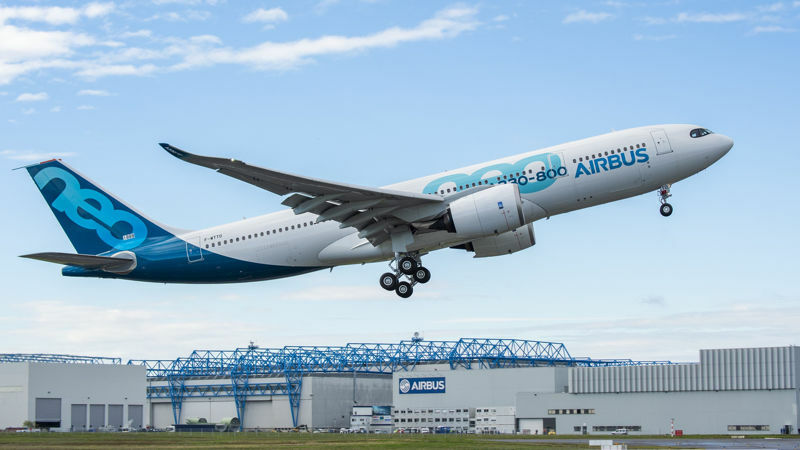 The fledgling Ugandan carrier is only the second airline with orders for the -800 variant of the A330neo, with Kuwait Airways the other. Hawaiian Airlines cancelled its A330-800 order last year. The -800 can seat up to 400 in a single class, but airlines are expected to equip the aircraft with nearer to 250 seats in a two or three-class layout. The Uganda National Airlines Company, as the carrier is formally known, is expected to launch operations later this year, initially flying regional routes with Bombardier CRJ900ER aircraft.